In an ideal world, every case would be handled correctly, and the results would speak for themselves, making an appeal unnecessary. However, that’s not always the case. Sometimes there’s a question of whether an aspect of a trial was handled correctly, and if so, it may be good to appeal your case, particularly if it yielded an unfavorable result. It’s not always easy knowing when or how to appeal, though, and so the offices of Greg Nelson are here to help. Here are some of the most significant reasons to submit an appeal. One of the most obvious reasons to petition for an appeal is the emergence of new evidence that could exonerate you. It’s important to understand, though, that in this case the new evidence isn’t factored into previous proceedings. You would essential have another trial that would include the new evidence. Another reason for an appeal is the possibility that acts of misconduct affected the process. This can come in many forms, such as someone mishandling evidence, a juror failing to follow instructions, or the police breaking a rule or procedure while gathering evidence. While any unfavorable result is disappointing, it could well be that a sentence is unfair or unreasonably harsh. If you feel that this is the case, it may be possible to make an appeal on the case after sentencing, which allows for modifying the sentence. The nature of the legal systems is such that mistakes happen. While it’s designed to be as fair, and concrete as possible, law is a complex thing, and must be to cover the wide range of situations that it encounters. 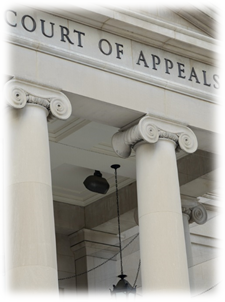 Sometimes the court makes mistakes, which can present an opportunity for an appeal. We at the offices of Greg Nelson know how intimidating the legal process can be, and we want to make it as simple and painless as possible. If you notice any of the above during a case that yields unfavorable results, remember that you may have strong grounds for an appeal petition! We can help you in every step of the process. Contact us today to learn more, or to receive a consultation.